CRAE TECH in collaboration with Center of Research in Applied Electronics (University of Malaya) has developed prototypes and Proof of Concepts (POCs) for various companies in the past and we encourage other industries, startups and research centers to contact us for future collaborations. Our engineering team is equipped with strong academic and industrial experience in many different fields, therefore we have the skills required to carry out successful prototype and POC development in Electrical and Mechanical engineering related fields. Due to our strong ties with universities, we have access to experts in different fields and we can carry out research and development in new fields by engaging the experts to make sure customer's satisfactions is met. Quality and reliability of your prototypes are our highest priority. We design and fabricate very complex systems containing embedded systems, sensors and user interfaces along with the latest technologies. We design and fabricate your PCBs and test them extensively to make sure they perform beyond your expectations in every way. We design your prototype in CAD software and fabricate your prototype using different technologies to reduce the cost and the lead time. Alpha V1 is the open-source remote controller that suit all your needs. A wheelchair operated by brain signals and suitable for paralyzed individuals. 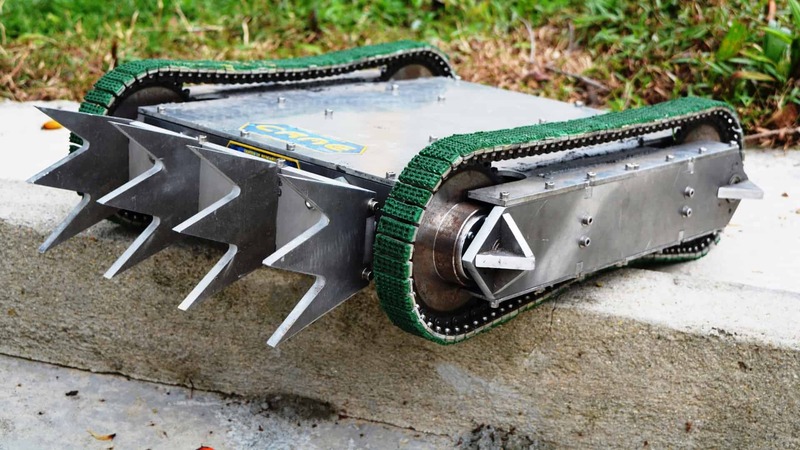 MARK II is our first 30kg combat robot capable of towing cars and SUVs up to 2000kg. Copyright © 2019 CRAE TECH. All rights reserved.